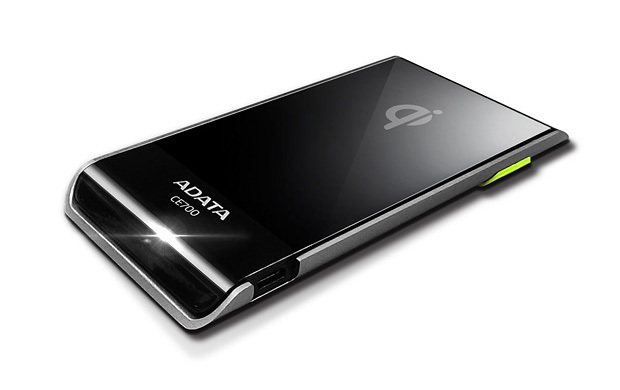 ADATA, famous for their line of storage and memory products, have hopped on over to making a Qi-enabled wireless charger with the Elite CE700. 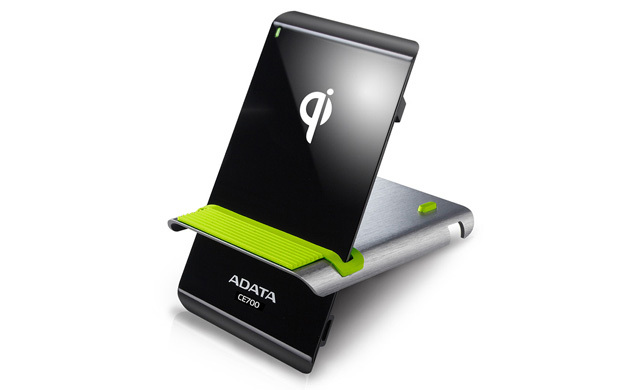 For those that can experience the convenience of easily placing your Qi-enabled devices on a wireless charger for your device to charge, it’s a great and simple feature to have. With more devices starting to have the option to be charged wirelessly, Qi-enabled wireless chargers are slowly becoming a needed accessory. 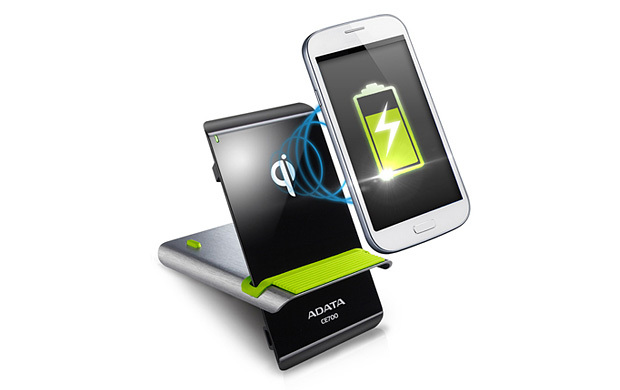 ADATA’s Elite CE700 is a great wireless charger to start with to feed your wireless charging needs. What makes the Elite CE700 different from all the other wireless chargers is that it can be used in two different positions, having it flat on a surface or make it into a wireless charging stand. The silver cover can be turned around and have the wireless charger placed through the slot which will be held by the friction from the rubber and the plastic glossy surface of the wireless charger. This is great for it can be easily adjusted to different positions, as long as it does not block the port on the wireless charger. With all the rubber facing up though, to hold the wireless charger and the device in place, it has sacrificed its stability between the charger and the surface, this might be a nuisance since it can move around when using your device while it’s charging. Another annoyance that could be bothersome is the placement of the port for charging, since it has to be disconnected each time you want to remove it from the standing position. Having it flat on the surface though is quite stable with enough friction from the rubber feet and back to keep it still. Having the charging LED notification at the top left corner, where the device usually is, is quite hard to notice since the device itself would be blocking the way, you can check your device if it’s charging though so it is still workable. 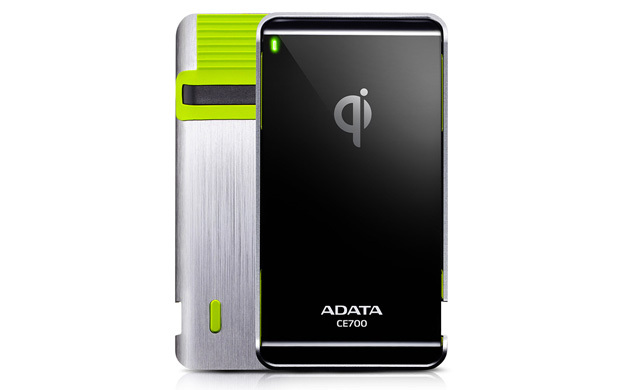 The CE700 is claimed to be able to charge 28% faster than wired charging through a PC port and has protection for overheating and over voltage, this is a great assurance that the wireless charger will not harm your devices if ever it malfunctions. The CE700 also has a power saving mode that stops the charger from sapping anymore electricity when it is not is use, saving you more money in the long run. For just $39.99, you can easily forego its small annoyances in exchange for the value of all its features along with its affordable price. 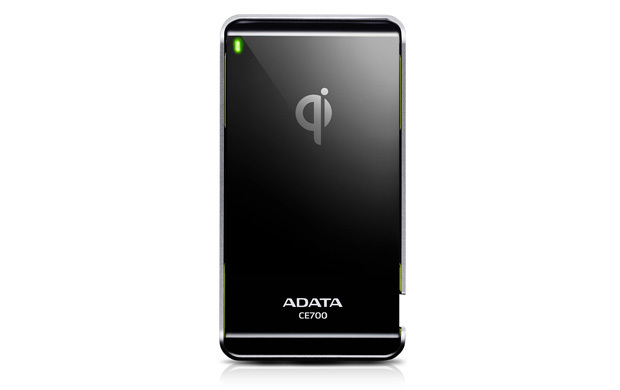 It’s a great device to start trying out wireless charging.